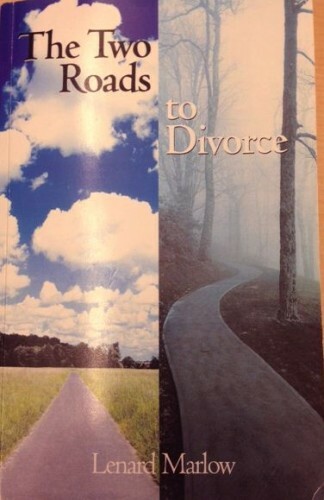 The Two Roads to Divorce was written by Lenard Marlow, who has assisted in the divorce process both as an attorney and a mediator. Experience taught him much, and, being familiar with both roads to divorce, he has done an excellent job communicating his knowledge to the reader. Throughout the book, Mr. Marlow guides the reader through the various facets of divorce and the choices people will have to make. He discusses the experiences of husbands and wives throughout the marriage, differing realities and the stories we tell ourselves. He addresses the well-meaning friends and family who are all-too-eager to offer advice. He talks about the ways divorcing individuals might lose confidence in themselves and each other, and he illustrates what might happen when people opt for self-help and the “protection” of hired attorneys. The Two Roads To Divorce is a good reference for individuals (especially both individuals in a couple) as they begin the process or if they feel overwhelmed by the road they chose. It can also be a helpful resource for supportive friends and family members. Check it out for yourself, or give it as a gift. Posted in divorce, media and tagged divorce, divorce books, family court, Lenard Marlow, mediation.